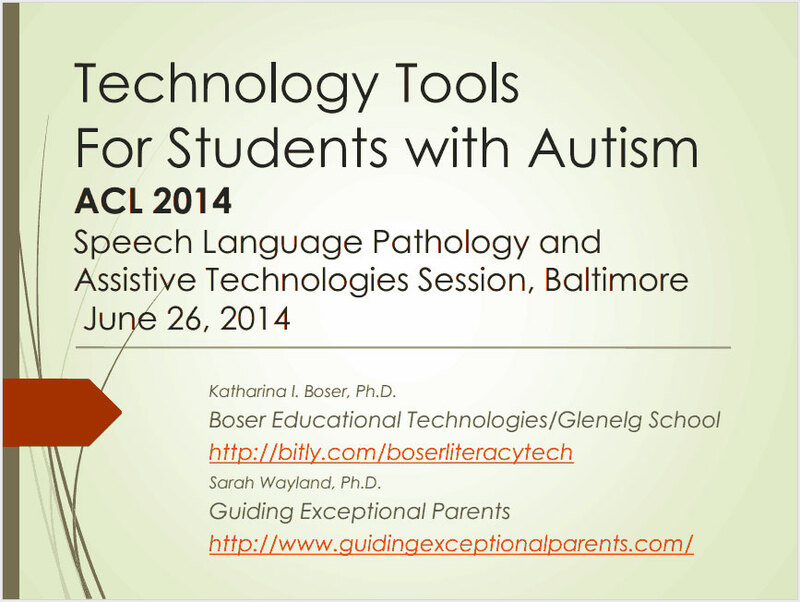 Slides (Google Drive PDF) for a presentation by Dr. Katharina Boser and Dr. Sarah Wayland at the 5th Workshop on Speech and Language Processing for Assistive Technologies (SLPAT 2014) in Baltimore, Maryland. User panel session with participants from the University of Dundee at the 4th Workshop on Speech and Language Processing for Assistive Technologies (SLPAT 2013) in Grenoble, France. A presentation by Professor Mark Hawley, from the University of Sheffield, at the 4th Workshop on Speech and Language Processing for Assistive Technologies (SLPAT 2013) in Grenoble, France.